A couple of years ago I wrote an entry about the future of TV. 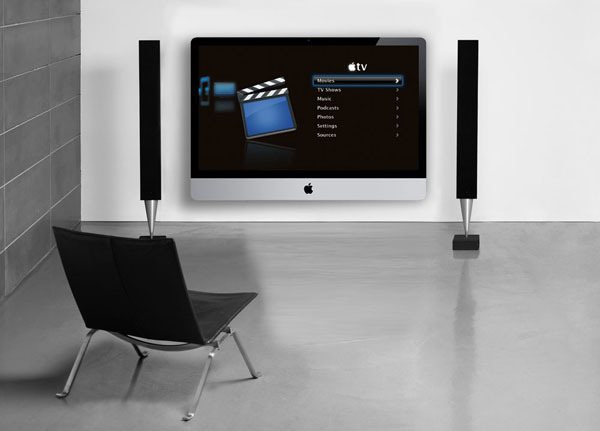 One of the major players in the prediction is the Apple TV. A device that is currently a separate box with WiFi and an HDMI connector for TVs. The catalyst of this proposed future is a device and or TV that simplifies the process of developing apps, monetizes it, and rolls it out in an ecosystem that works for the US. Most of the major networks have an app for iPad and iPhone already whereby you can watch all the most recent episodes of their current shows. If only there was a way to access the same content on demand on TV in an similar fashion while still being able to stream live events live when the time arrives. We stand on the cusp of an enormous change to the way we receive television. 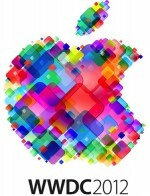 Tomorrow at WWDC Apple will be announcing that developers can now write apps for their upcoming TV Set. What this means is that NBC, ABC, CBS, TNT, TBS, Fox and most importantly – Disney will all be able to create apps for your TV that allow you to interact with their content as they see fit. If they want a world premiere to run live – it will. If they want to make it available for a week after it showed – they can. If you want to email a friend and have them pull up a clip of a TV show right to their TV set and watch it – shebang. 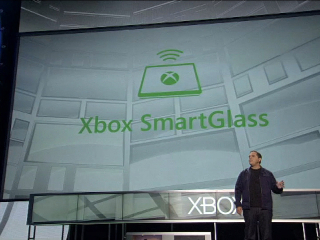 Other cool features like Skype on your TV and the ability to send video messages to friends are possible as well. Advantages like being able to have a live video chat while watching a live event are also feasible. Re-airing classic shows and movies with video commentary or live chat with the stars and creators. Imagine being able to watch something on your iPhone or iPad, pause it and then resume it in full HD on your TV. And of course let’s not forget the gaming potential. Developers can write games that can be downloaded right to your TV. Using a bluetooth or WiFi connection you can use your iPod as a touch screen controller. You can use voice activation to command the action. You can use your existing Apple game center profile to connect with friends and play co-op games. Oops! Did Apple just merge the computer and console gaming industries – I think they did. Perhaps most intriguing in this brave new world of TV is the fact that hierarchy will soon be gone. Much like the recording industry has become obsolete in the post-modern era of internet-based marketing and delivery, soon everyone can develop an app that can deliver TV content to the world. Youtube stars and non-profits can create a an app that can sit along side your ESPN app so you can receive new content from them the same way. When it comes to mainstream content, thought Disney is going to be the Key. I wasn’t joking earlier when I said they were most important. Disney owns the station that most men would pay a premium to have – ESPN. They also own ABC, Disney, Disney XD, ABC Family, ESPNU, 2, 3, Classic Deportes and all associated radio stations and print media. This could be a big outlet for them so long as they can monetize it. And if there is one thing that Apple is good at – it’s making money. Plus Disney and Apple are intertwined as Apple owns the majority stock in Pixar and Pixar and Disney merged a few years back. After that comes Time Warner and News Corp. Once CNN and Fox News are on board, all of the most watched stations currently only available on cable and satellite will be available through Apple TV. Though, I feel confident that regardless of whether they make the transition cable news stations are going to see a sharp decline over the next few years as most people under 40 get their news from social media. If they don’t adapt it’s entirely likely that CNN and Fox News could both die a slow death over the next ten years. At the same time NBC has been in fourth among the major broadcast networks for several years now. And all of the broadcast stations have been in decline of viewership despite over all TV viewership being on the rise. They’ll all have to follow the audience if they hope to stay relevant. It’s questionable whether stations of any kind will be needed in this new form of TV. Studios could skip the middleman and present their content right to the audience. The structure remains to be seen, but undoubtedly there will be those who adapt and those who don’t survive. Microsoft already announced their plans to open the Xbox platform to developers in hopes of creating a similar experience – so there is competition which will drive prices down and quality up. Believe me when I say tomorrow marks the beginning of the end for traditional television, and the dawn of something way cooler.